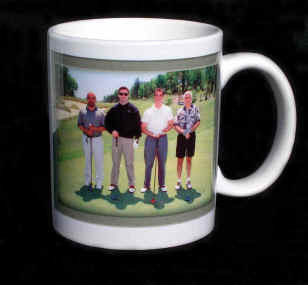 You can custom design your 12oz Photo Coffee Mug any way you choose. 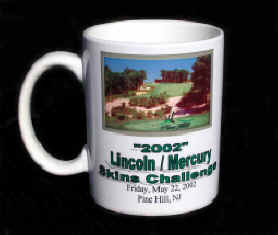 One side of the mug is a foursome photo and the back of the mug can be designed with sponsor logos, photos and verbiage. The mugs are ready by the time the golfers finish golfing 18 holes. They have a high gloss finish and are dishwasher safe. The cost is $14 per mug.